The city has agreed to pay $2.75 million to the family of a Rikers inmate who died while in prison in 2012 from an alleged brutal beating by correction officers. The city medical examiner’s office ruled the 52-year-old man’s death a homicide. Despite these findings, the Bronx district attorney’s office declined to press criminal charges against the correction officers who allegedly beat him. The deceased, a burglary suspect, had complained that doctors and correction officers were withholding treatment for his kidney disease. His family claimed the officers retaliated by beating him to death. The autopsy report determined that the man’s death was caused by hypertensive cardiovascular disease, but also said that a physical altercation with blunt-force trauma to the head was a contributing factor. The report also found that the man suffered blunt-force trauma to the torso and arms. Bronx prosecutors decided against pressing charges because they could not prove criminal responsibility by the correction officers beyond a reasonable doubt, according to reports. The man’s family has called on the Manhattan U.S. attorney’s office to investigate the case. The correction officers union president maintains that the officers did everything by the book. 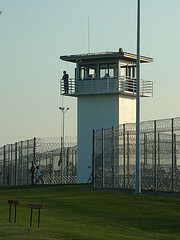 Filing a CRIPA complaint: The Civil Rights of Institutionalized Persons Act maintains that those in state prisons or county jails can file reports of abuse with the U.S. Department of Justice. Filing a federal civil rights lawsuit: Under Section 1983 of the U.S. Code, inmates who believe their constitutional rights have been infringed can file a civil lawsuit. Moreover, inmates as well as their families should consult with an injury lawyer as soon as possible to learn about their legal rights. You do not have to suffer in silence. A New York Injury Lawyer at Whittel & Melton can assess the facts of your claim and make sure you understand all of your legal options. We will always protect your best interests and work to achieve the best possible outcome. For a free consultation, please call us today toll-free at 866-608-5529 or fill out a case evaluation online.